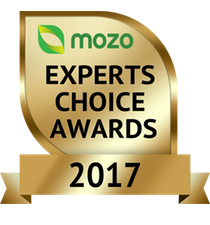 Congratulations to the winners of the 2017 Mozo Experts Choice Awards for Car Insurance. These awards recognise car insurance policies that provide Australians with exceptional value for money and exceptional quality cover and benefits. For the Exceptional Quality awards, we compared 63 car insurance policies from 54 car insurers. For this award we assessed quality of cover on each product, comparing a wide range of features including 24/7 claims, choice or repairer and the option of hire car after an accident. Mozo also assessed customer experiences when dealing with the insurer as well as their track record of handling disputes with the financial ombudsman services. The Exceptional Value awards recognise car insurance policies that are among the best-priced for the features it offers. For these awards, we compared 34 car insurance policies. Awards for Exceptional Value Low Cost insurance were also awarded to those policies that are the most affordable essential level of cover. Our judges pored over literally hundreds of thousands of pieces of information to identify the car insurance policies that stand above the rest for the quality of the cover and features they offer or the value for money they represent for the Experts Choice Awards. Whether the policy provided, or offer as an optional extra, aspects that we considered to be the basic essentials in a quality car insurance policy such as 24/7 claims phone line, a hire car after an accident and good windscreen cover? Overall results are strongly weighted towards the policy cover and benefits. The top 10% of policies available nationally received this award, along with any state-based or demographic-based policies that scored the same or better. For Exceptional Value Awards, we considered a total of 10,010 car insurance customer scenarios, and determined the percentage of those scenarios where a given policy would feature among the 4 cheapest quotes out of all the policies meeting a minimum level of quality. No, but we certainly made an effort to compare as many policies and car insurance providers across Australia as possible. The total number of policies considered for the Exceptional Value awards was 63 and quote data for 34 insurers for the Exceptional Value Awards. How do I find the cheapest car insurance? If you’re looking for low cost car insurance, a good place to start your search is the Experts Choice Award winners for Exceptional Value, or Exceptional Value Low Cost. Our experts crunched the numbers on a number of scenarios and these were the car insurers that had the cheapest prices across the customer scenarios. Now, this doesn’t mean that they will be the absolute cheapest for you, because car insurance pricing is based on a number factors including your car, where you live, and your driving history, but these awards should make it easier for your to narrow down your search. We considered a total of 27 factors which is too many to list here, but for car insurance, the essential ones were: choice of excess, 24/7 phones claim and rental car after accident. If you’d like to see the full list, read the methodology report. Where did you get the customer experience data for the Exceptional Quality awards? Customer experience scores were sourced from a national survey of 3,726 Australians commissioned by Mozo and undertaken by IPSOS in May 2017, which measured customer ratings of the experiences of getting a quote, dealing with customer service staff and making claims. 2017. Dispute data came from the information published by the Financial Ombudsman Service. Do car insurers pay to be included in the awards?